A real blue rose, measuring approximately 11.5", glazed and trimmed with 24 karat gold, and adorned with gold glazed lattice leaves. 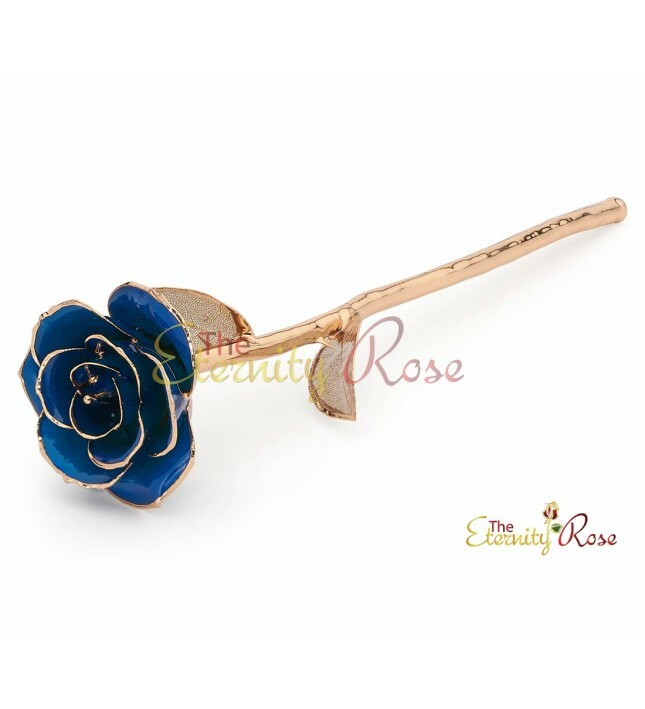 A pendant formed from real natural miniature blue rose petals which have been trimmed with 24 karat gold. 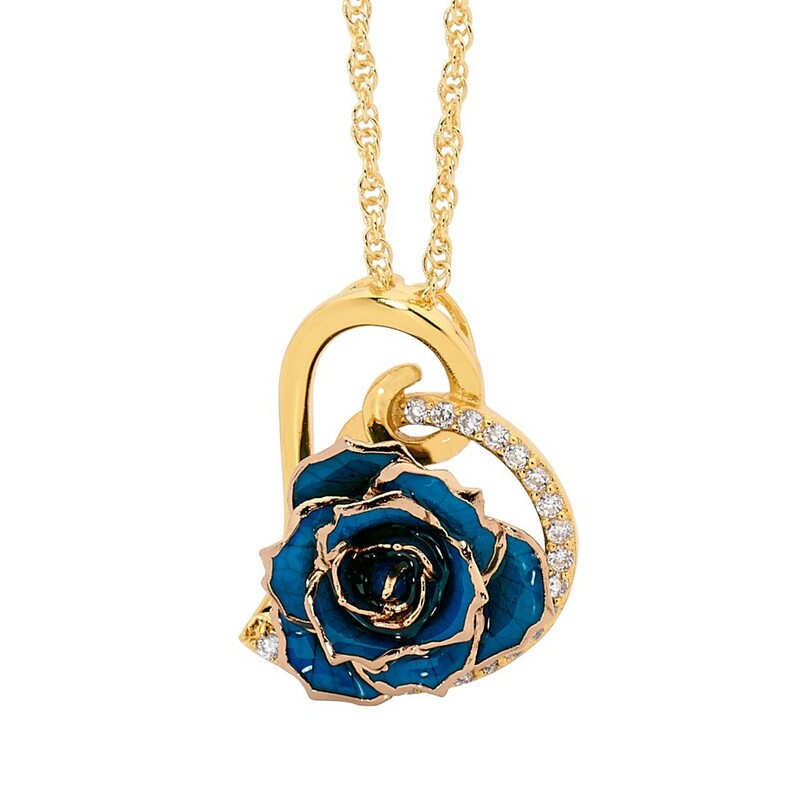 The pendant comes complete with its own matching 24 karat gold-dipped chain. 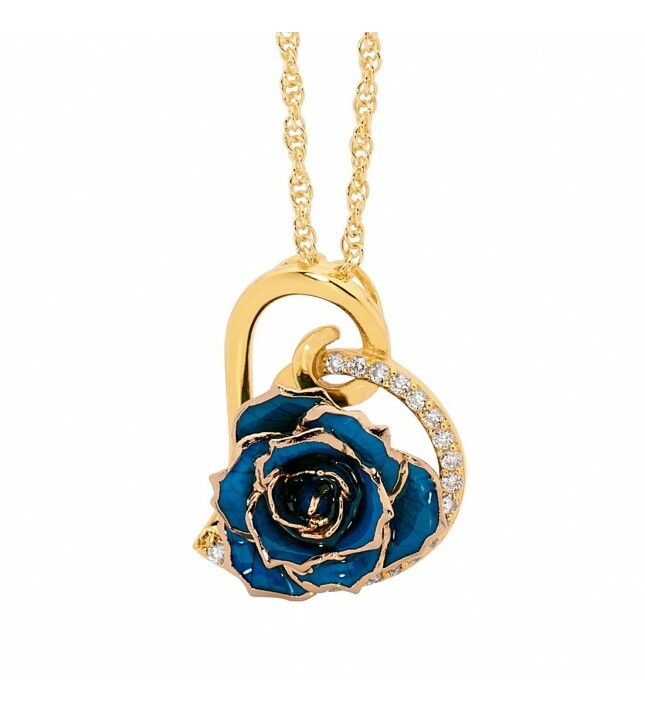 The pendant measures 3/4" in width and is formed in a heart design with synthetic diamond detailing. 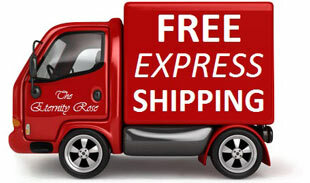 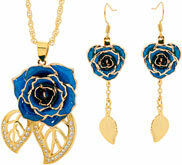 In total, the pendant dimensions are 0.9” by 1.2". 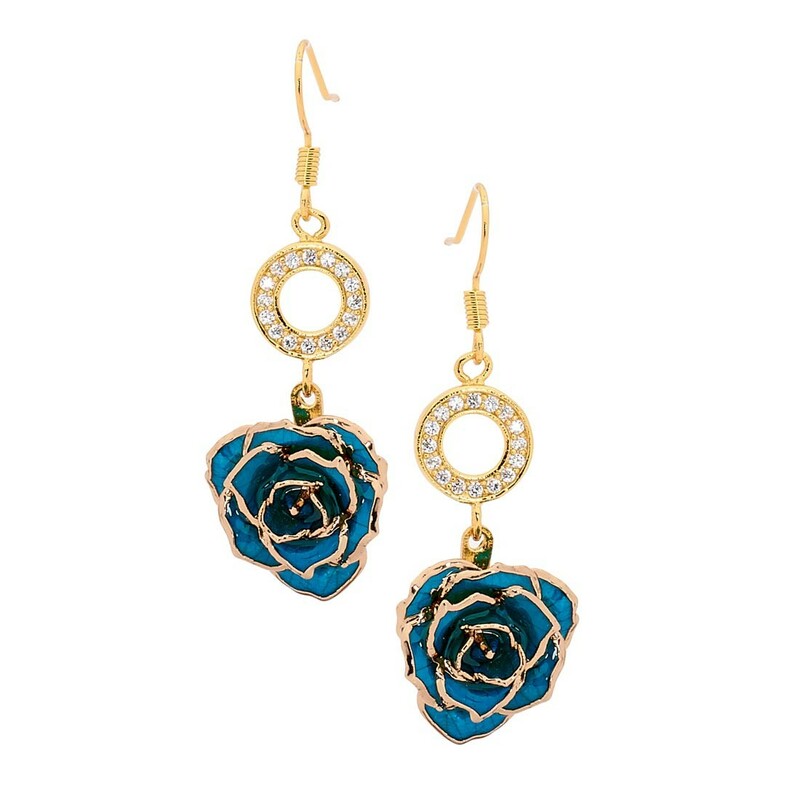 A pair of gorgeous miniature rose head drop earrings that feature a synthetic diamond-encrusted ring. 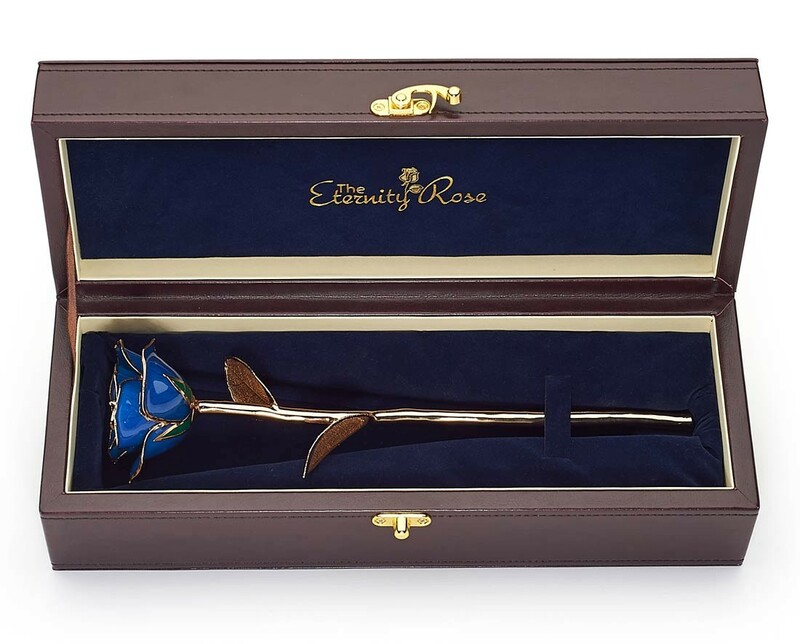 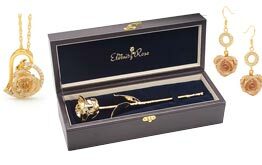 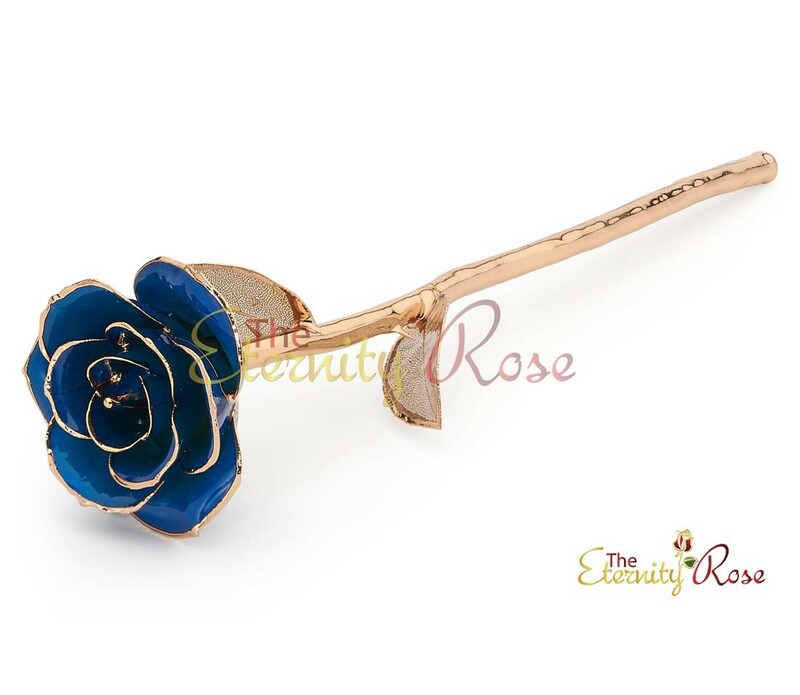 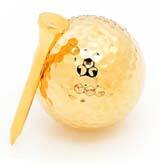 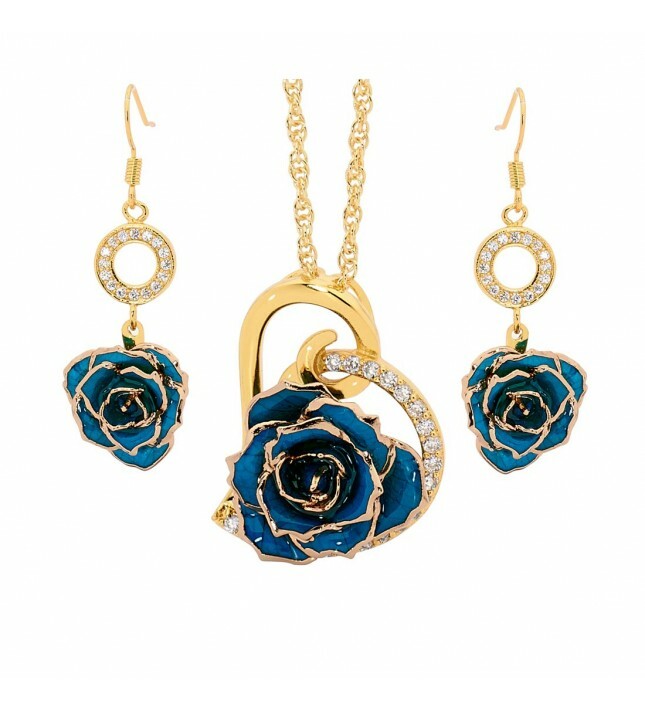 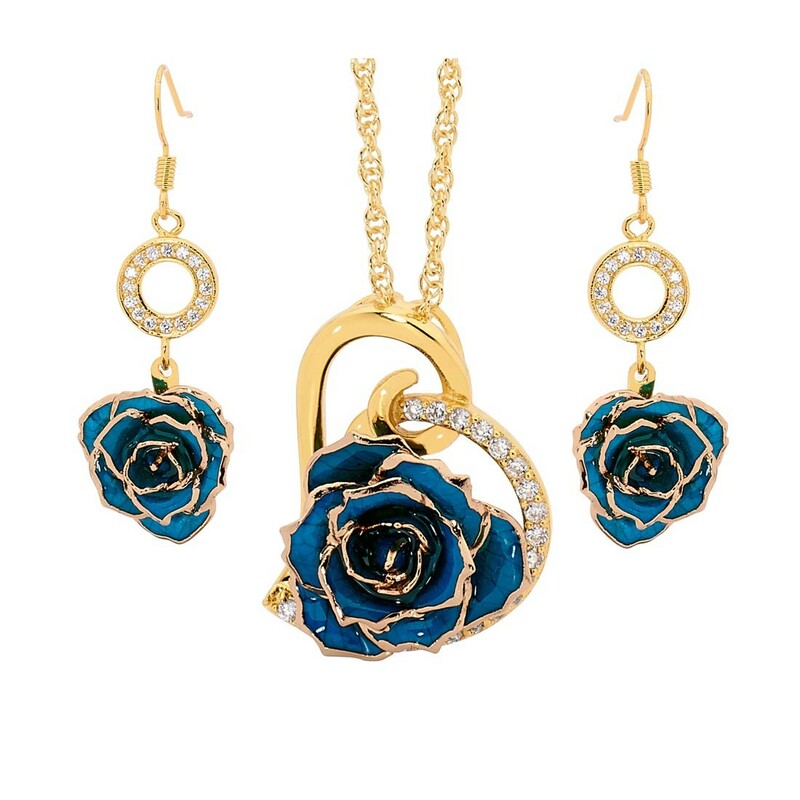 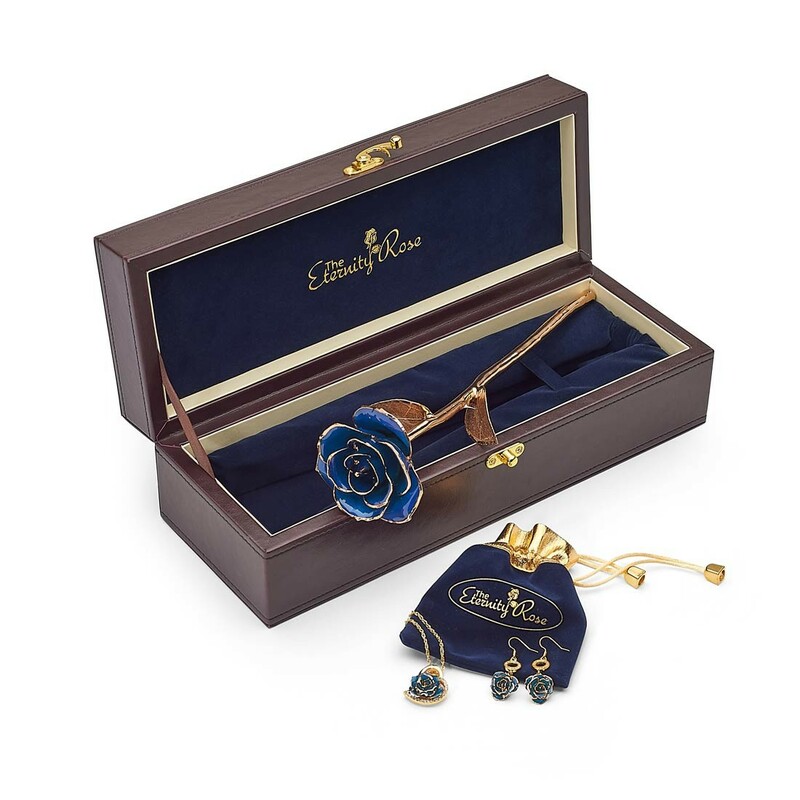 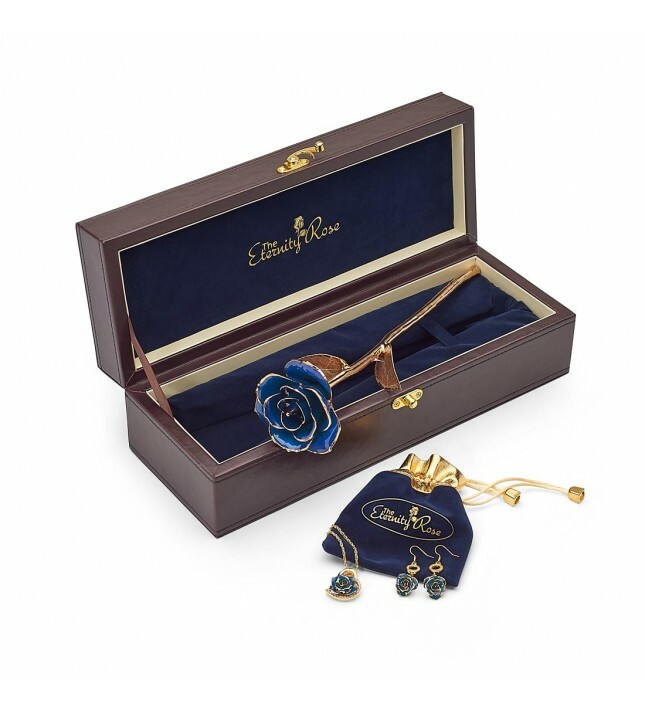 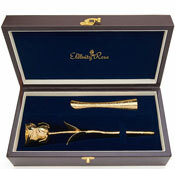 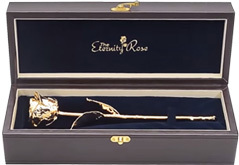 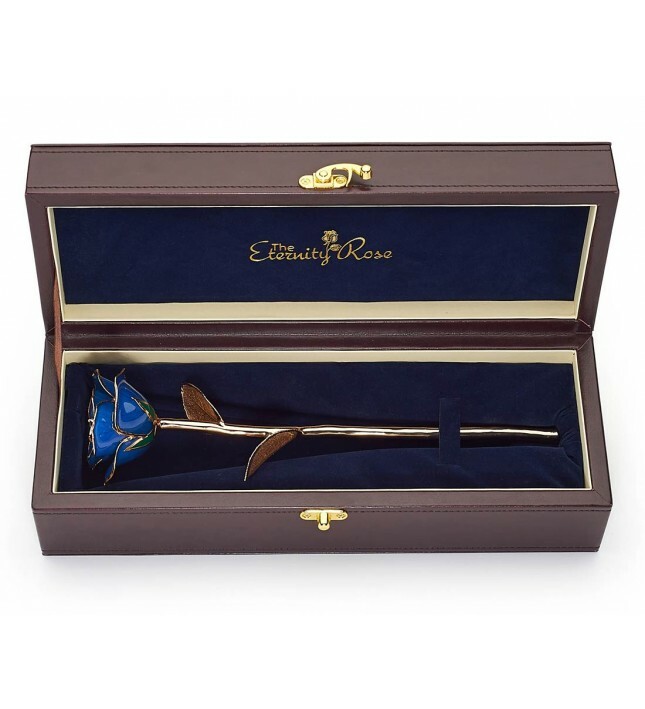 The blue miniature rose petals are beautifully glazed and trimmed in 24 karat gold, and the drop measures 1.7".